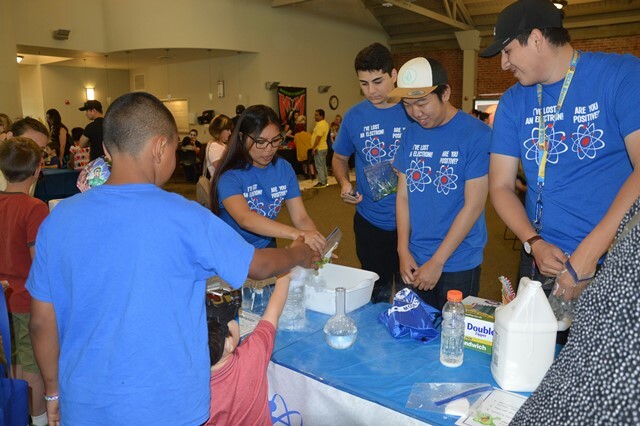 Stanislaus County Office of Education (SCOE) will hold its “Maker Hoopla” in Modesto on Saturday, April 14 from 9:00 a.m. – 3:00 p.m. at the Petersen Event Center (720 12th Street, Modesto). SCOE’s Maker Hoopla is a FREE, hands-on, family friendly event for children (Preschool to 6th grade) to “learn through doing” in a social environment. At the Maker Hoopla children can participate in hands-on activities including: 3D Printing, Agriculture Science with New Mettle Farms, Blender Bike Slushies, Earthquake Shake Table with Stanislaus County Public Library, EV3 Lego Robotics, Fort-Building, Kindness Rocks Painting, Kinetic Sand Building, Kitchen Chemistry with MJC Chemistry Club, Monogramming, Monster Makeup with Monsters in Modesto, Musical Instrument Building, Safe Wax Painting, Space Science with Great Valley Museum, Sculpting a Habitat, Slime Making, Stick-Lits, Strawbees, STEAM Project Design, and Wearable Circuits. The Maker Hoopla will consist of three sessions in an effort to accommodate attendees. Each session will include activities encouraging students to create and explore. “The goal of the event is to expose elementary grade students to STEAM (Science, Technology, Engineering, Arts, Mathematics) learning and to expand student capacity, interest, and excitement for building, constructing, creating, designing, exploring, and inventing,” said event organizer Amy Bultena. Session 1: 9:00 a.m. – 10:45 a.m. Session 2: 11:00 a.m. – 12:45 p.m. Session 3: 1:15 p.m. – 3:00 p.m.
For more information, call or email Amy Bultena at (209) 238-1337 or abultena [ahtsym] stancoe [dhotsym] org.